A Manatee County Sheriff's K9 has been located safe after deputies spent the day searching in a wooded area in Parrish. 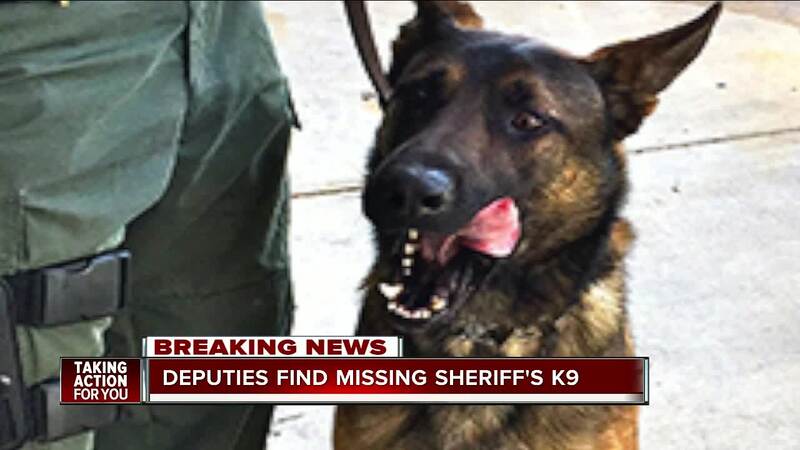 PARRISH, Fla. — A Manatee County Sheriff's K9 has been located safe after deputies spent the day searching in a wooded area in Parrish. MCSO says K9 Boss got distracted during a routine exercise Wednesday morning and darted into the woods. "It was challenging," said Jay Martin. "The unwritten tension was we hope we find this dog. We have a lot of snakes out here, we have a lot of coyotes." Martin joined the search with law enforcement around 9 a.m. The sheriff's office asked him to help because he operates a local animal rescue group. Martin says more than 50 people from the Foxbrook community in Parrish teamed up with deputies during the all-day search. "We just saw people come out in their golf carts or ATV's, their skateboards, they're walking their dogs. It got people talking, it got people working together," said Martin. The group effort paid off. A resident spotted K9 Boss in the 15000 block of County Road 675 around 5:45 p.m. and alerted deputies. 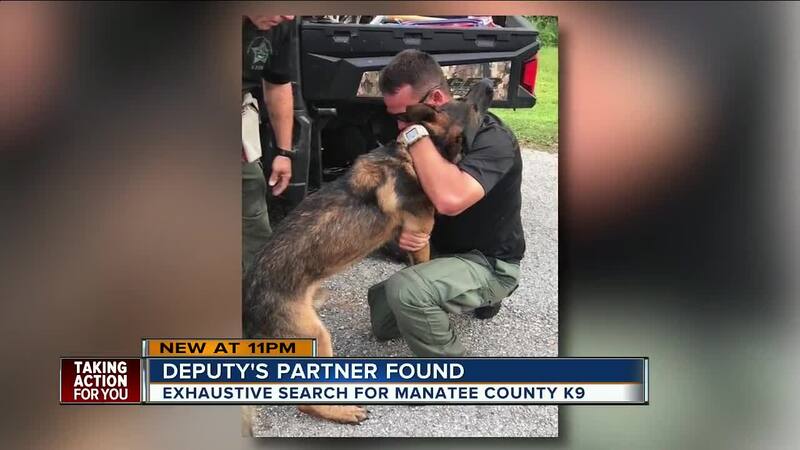 The Manatee County Sheriff's Office shared a heartwarming picture of the K9 being reunited with his handler shortly after the discovery.